Ooh, creepy books are my jam! Anything that's a little eerie or macabre is right up my street, so it took me a while to choose just a few highlights. 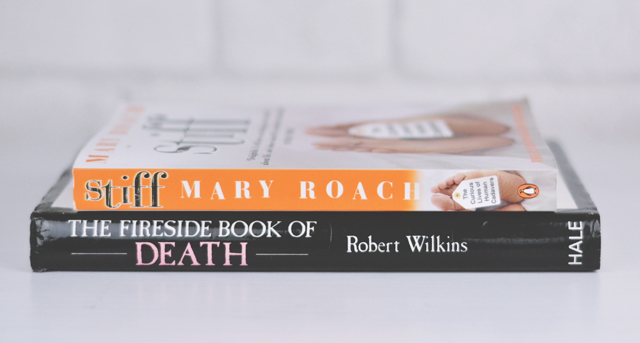 Some of these I already featured in my top 5 books about death but I could hardly miss them out! 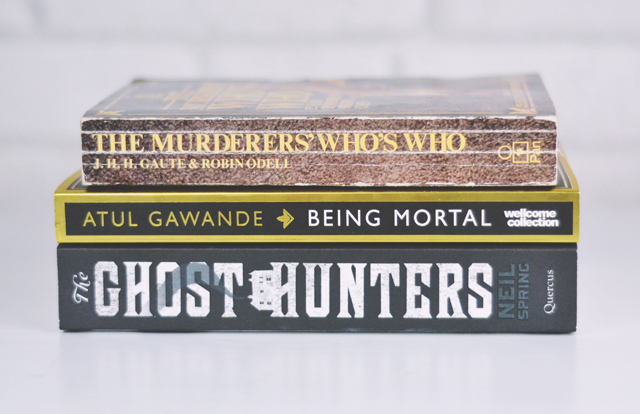 If you're looking for some Halloween reads, start here! Wuthering Heights- Emily Bronte I'll be very honest here- I didn't particularly enjoy Wuthering Heights. That said, you can't deny that the gothic themes of revenge, death and apparitions are perfect for Halloween. 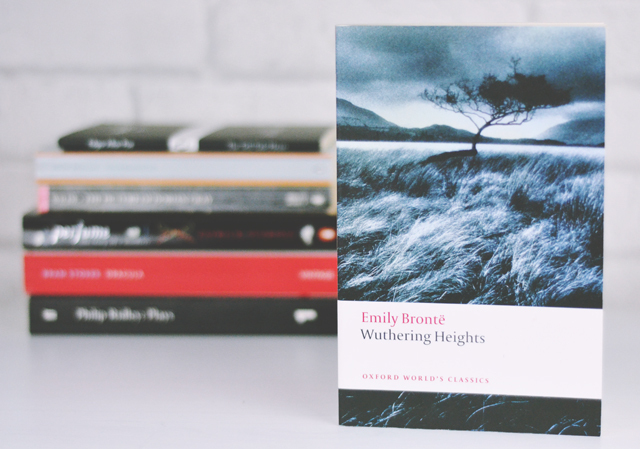 With vivid descriptions of the isolation of the moors, Wuthering Heights is one to get you in the mood for spooky goings-on. 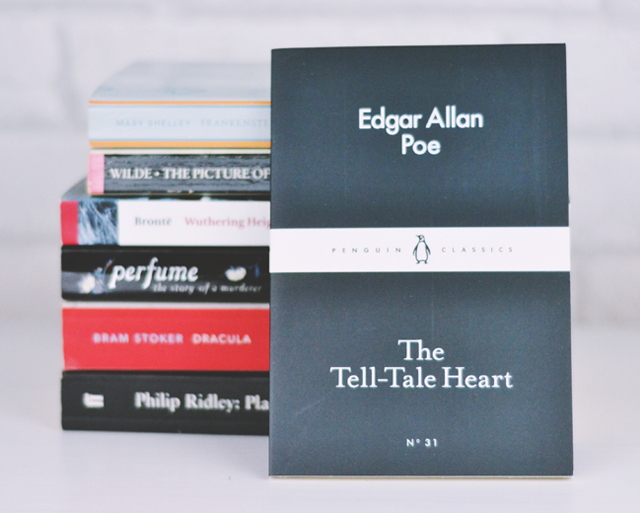 The Tell-Tale Heart- Edgar Allen Poe This is the first I'd read of Poe and man, was it as macabre as I'd hoped! A collection of short stories from the famously eerie author which are bound to get your imagination fired up. Every story is so evocative and it doesn't take much to be completely drawn into the creepy narratives. The Picture of Dorian Gray- Oscar Wilde I adore Wilde's writings so it would be a crime for me not to include this, his only novel. 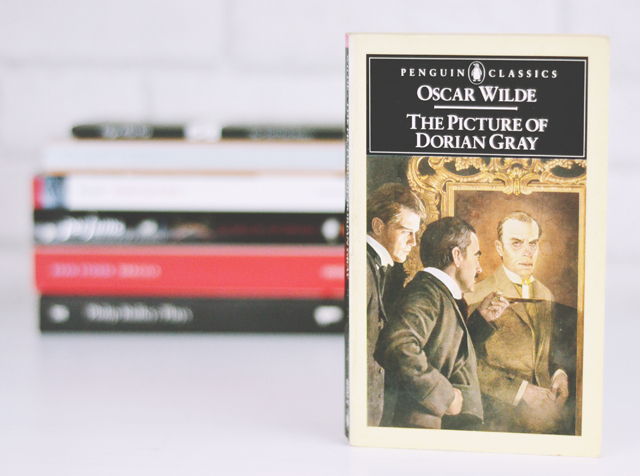 Full of gothic imagery and a cautionary tale to be careful what you wish for, The Picture of Dorian Gray reminds us of the dangers of vanity. 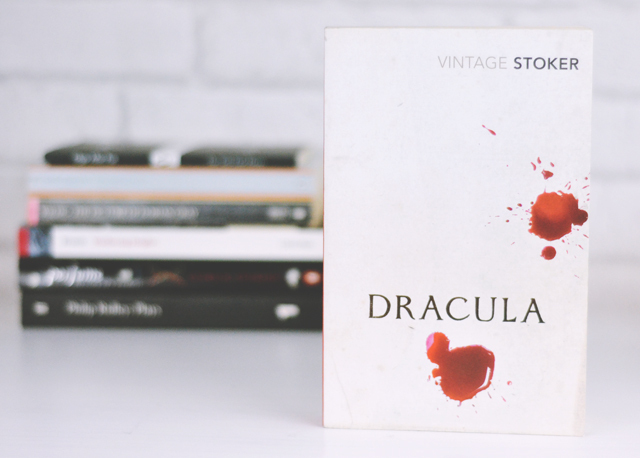 Dracula- Bram Stoker What would a Halloween reading list be without Dracula? Stoker's writing is so strong that it completely envelops the reader and drags them into the story. Filled to the brim with creepy imagery and a building sense of tension, it's ideal for getting into the Halloween spirit. 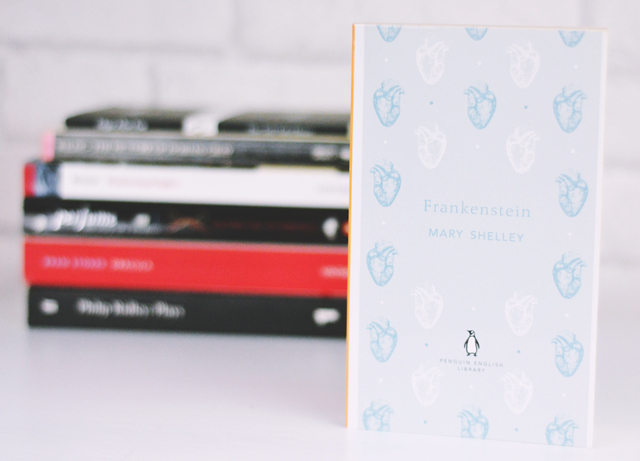 Frankenstein- Mary Shelley Frankenstein was the first piece of gothic literature that I really read (I tried Interview with a Vampire as a depressed emo teen but I can't remember much about it) and inspired me to delve further into the genre. I love the interwoven themes of life and death, of science and religion, of sanity and madness. A real book of extremes, it was the perfect way to start my foray into Victorian gothic literature. 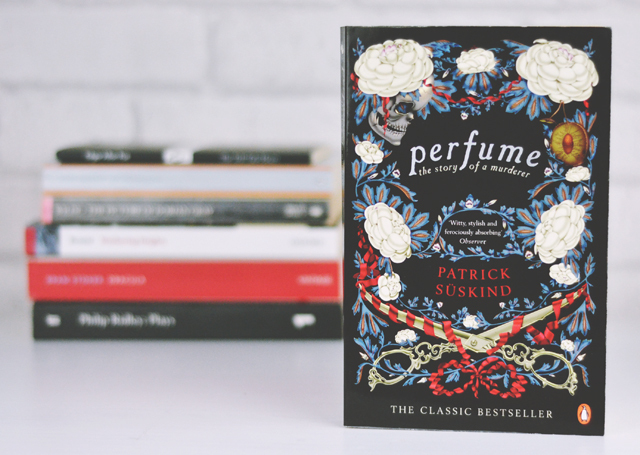 Perfume: The Story of a Murderer- Patrick Suskind I'm not entirely sure why I didn't include this in my top books about death because it's definitely one of the best books I've read, and one I recommend to everyone. As the title would suggest Perfume: The Story of a Murderer follows, well, a murderer. Grenouille is a troubled man who is so obsessed with the fragrance of a young girl that he'll try anything to bottle it. Not only a fantastic read but it has what is possibly my favourite ever cover. 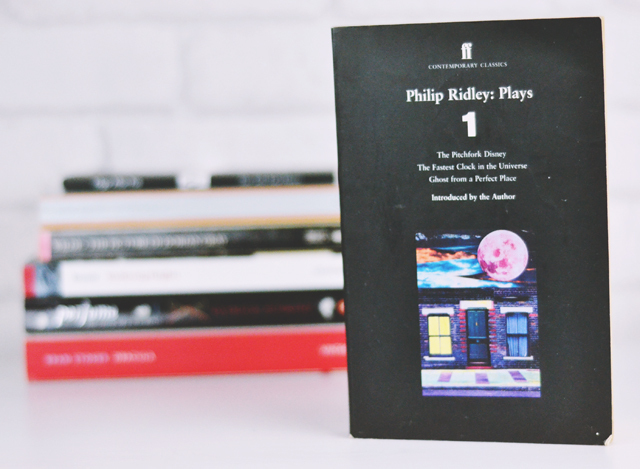 Back in 2006, Marie- who was studying for a drama degree- lent me her copy of Philip Ridley's Plays and, erm, I might still have it. Yes, I'm one of those people. Sorry, Marie! The plays themselves aren't that interesting for me (I think I only read them once) but the introduction has possibly been read more than any other book in my collection. It's a twisted autobiography with dead bugs, illness and drugs. 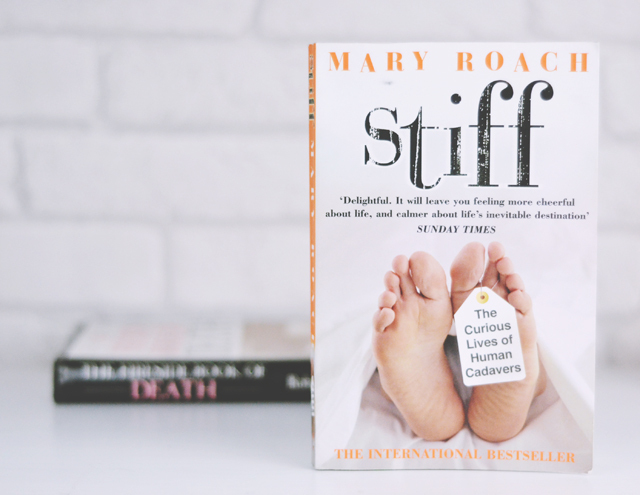 NON FICTION Stiff- Mary Roach This is a very recent read for me but an absolutely fascinating one at that. Stiff explores the different ways cadavers are used after they've been donated to science. 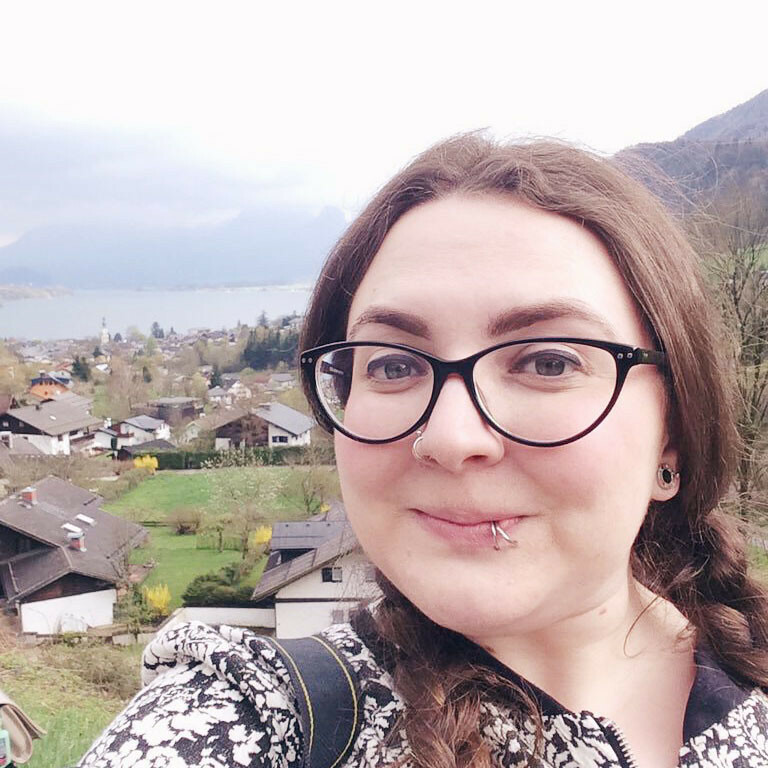 From traditional dissection in medical schools to more unusual, modern causes like plastic surgery rehearsal or forensic study of decay, it's an interesting study of how we can put ourselves to use after our deaths. The Fireside Book of Death- Robert Wilkins I could talk about this book forever. 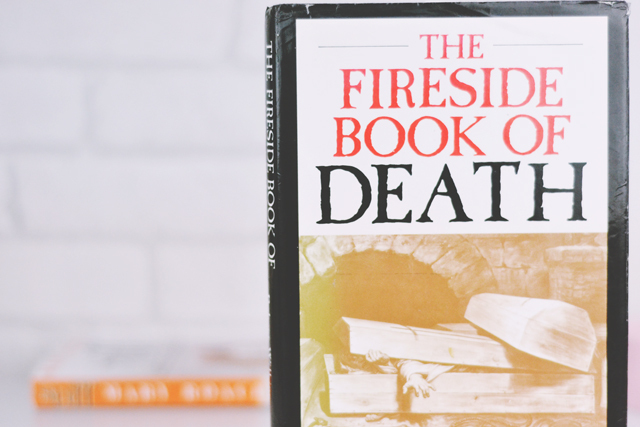 An examination of culture and attitudes surrounding death and mortality, and how these have changed over time, The Fireside Book of Death is an incredibly informative resource text that works as a great starting point for those interested in the history of death culture. TO BE READ Although these are all fantastic reads, I also have some very promising books just waiting to be picked up. Being Mortal - Atul Gawande: An examination on how medicine is affecting the length of our lives and how we care for those who are at the end of theirs. The Murderers' Who's Who- JHH Gaute and Robin Odell: This was another book from my childhood that my dad has passed over to me. A comprehensive guide of murder cases before its publication in 1983, The Murderers' Who's Who lists cases alphabetically with one succinct paragraph to summarise it. Like a dictionary for murderers. The String of Pearls - Thomas Preskett Prest: Guess who lost a book and didn't find it until after these photos were taken. One of my favourite films is Sweeney Todd and The String of Pearls is the story from which the legend originated. There seems to be an Alan Rickman theme going on in my Halloween choices here. The Ghost Hunters- Neil Spring: I bought this book before Halloween two years ago and it's still sitting in my bedside cabinet waiting to be read. Maybe this will be its year! And I also didn't really enjoy Wuthering Heights. To be honest, I never even finished it, as it just didn't thrill me quite enough. Maybe I should give it another go though, as so many people do like it. What an amazing selection of books - the ones I HAVE read are so good that I trust your recommendations of the ones I haven't read. Personally I loved Wuthering Heights (although I won't deny how bloody confusing it can be) - perhaps because Emily Bronte is my namesake?! Dracula is one of my favourite novels of all time and Edgar Allan Poe is amazing - I LOVED studying him at uni. Of the ones I haven't read, Perfume looks the most interesting to me because I've seen a lot of things inspired by it. 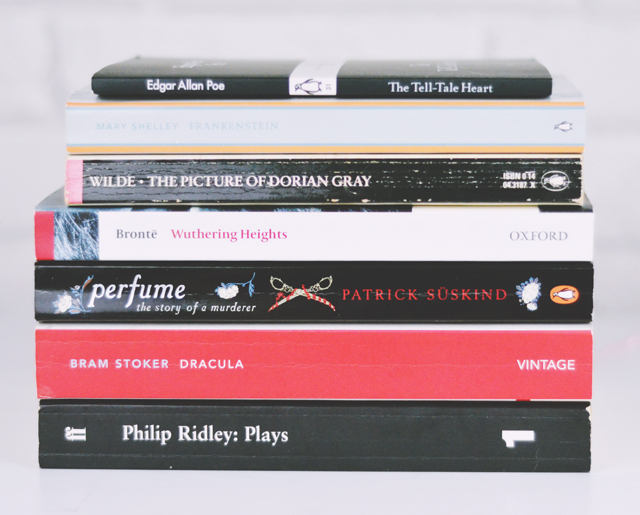 I really want to get into reading more, I do adore it but I just don't do it enough, I think even though I'm not sure I'd enjoy Wuthering Heights either I'd quite like to read it just to see. Perfume has been on my charity shop list for ages and I can never find it! You've made me want to read it even more now!